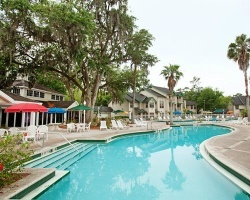 Nestled on 16 forested acres only eight miles from Walt Disney World, *Oak Plantation A SunVest Resort* offers a secluded getaway in the heart of central Florida! 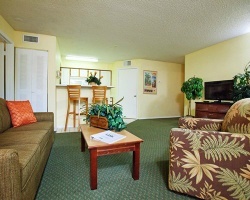 The resort features cozy one- and two-bedroom villas, which surround a scenic lake with a lighted fountain. 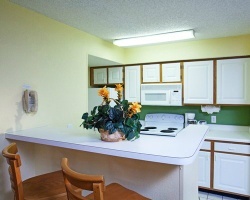 Each villa has a fully equipped kitchen. Amenities include gated access, a free-form pool complex, lighted tennis court and basketball court, games room, car care area, fitness center, and picnic spots. Play golf close by or walk to shopping and restaurants. For more information about this beautiful property, visit www.oakplantationresort.com. *RCI and Interval International Affiliated* Featuring a finely appointed 2 bedroom, 2 bath suite that will accommodate 6 guests comfortably. Rental is available in week 33, August 17th through August 24, 2019. more information or to make an offer, please submit the inquiry form.